Prior to this new range, I have been selling many anniversary cards despite having limited number of designs in my anniversary section. 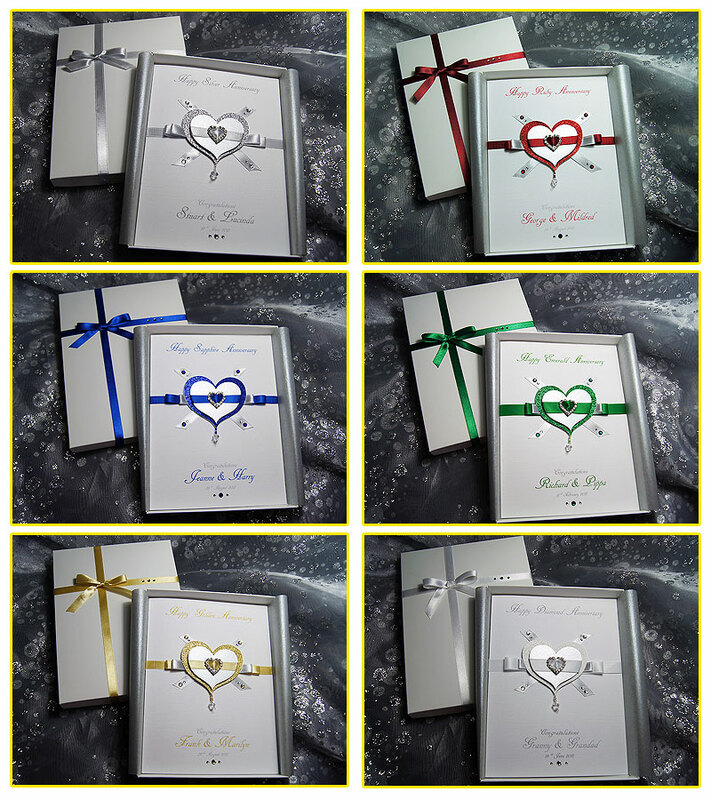 I wanted to design a luxury range, for those who want to send that extra special anniversary card for each of main marriage milestones. Since adding my new range this weekend, much to my excitement several have already flown out the door, which is fabulous news!! If you can spare a moment, please let me know what you think of this new range? What a stunning new anniversary range! you really craft some beautiful cards Sherrie. Those are beautiful cards. They seem so simple and yet so luxurious at the same time. I love that the cards can be personalised so easily as well.